San Diego native Aodhan Quinn joins Orange County SC for the 2018 season. Irvine, Calif. (December 15, 2017) - Orange County Soccer Club announced the signing of FC Cincinnati’s Aodhan Quinn today. 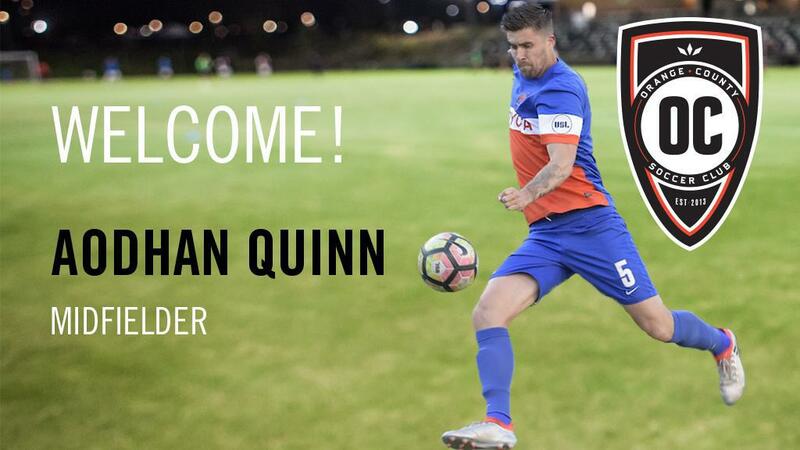 Following a tremendously successful season, helping lead FC Cincinnati to the Semi-Final of the Lamar Hunt U.S. Open Cup, Quinn has returned to the West Coast to join Orange County SC. “I’m very excited to have Aodhan join Orange County SC. I’ve personally known him since he was a little boy and have been really impressed with the man he has become. He’s another example of a fantastic player but an even better person. He will bring the determination and experience we need to reach our goals. He’s not only a talented player but hardworking and disciplined which will continue to be the foundation of our team,” said Orange County SC Head Coach, Braeden Cloutier. Quinn started out playing youth soccer for F.C. San Diego before playing high school soccer for Mt. Carmel. He then went on to play College soccer for the University of Akron where he won numerous individual awards such as, NSCAA All American (First Team) and MAC Player of the year. This didn’t go unnoticed by MLS teams and he was subsequently selected in the 2014 SuperDraft by Philadelphia Union. He then made his professional debut with Orlando City in the USL and helped them to a USL Championship title in 2014. Following his time with Orlando he joined Louisville City where he established himself as one of the leading players in the USL over a two-year spell, which saw him named captain in 2016 and led them to the USL Cup Eastern Conference Final. He tallied 48 appearances for the club, scoring 5 goals including the USL goal of the year in 2015. 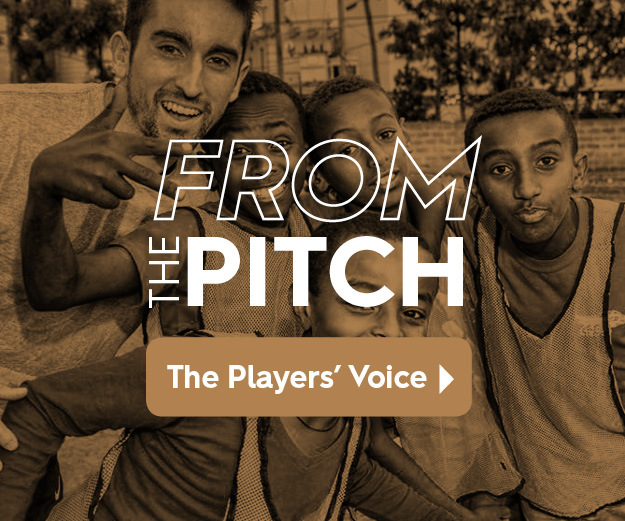 He was most recently with FC Cincinnati and played an integral role in their success in this season’s Lamar Hunt U.S. Open Cup, reaching the Semi-Final of the tournament before narrowly falling to New York Red Bulls. Quinn started in every game from the third round of the tournament and played an instrumental role in wins over MLS opposition such as the Columbus Crew and Chicago Fire. “I’m extremely excited to get started with the club, everything I’ve seen from the stadium to facilities is top class. I look forward to working with the coach and staff who have the same ideas of how to play the game as I do. I’m excited to help push the club forward to help achieve their vision as they continue to strive for greatness,” said Aodhan Quinn. The 25-year old will join up with fellow midfielders Richard Chaplow and Christian Duke who were announced earlier this week as they look to form a formidable partnership in the Orange County SC midfield next season.